This classic bounce house rental with its stately turrets is great for every event. 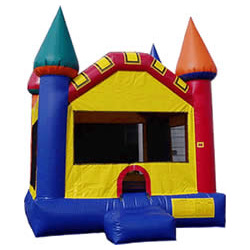 One of the most popular types of bounce houses it also comes in pastel colors as a princess castle bounce. Standard size bounce house.